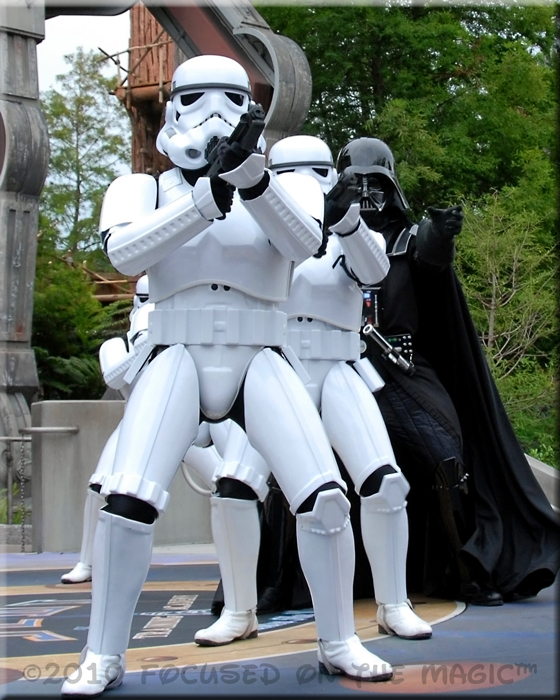 Foto Friday ~ May the Force be with You! | Focused on the Magic : Foto Friday ~ May the Force be with You! Foto Friday ~ May the Force be with You! The Disney Parks Blog was LIVE from their new spaceport, Star Tours earlier today. It was an exciting webcast of the grand opening of “Star Tours – The Adventures Continue” as it happened at Disney’s Hollywood Studios. Highlights will be shown in photos and clips throughout today. Their live feed was imagineered with clips making it truly Disney magic. The most galactic appearance for me was George Lucas, the Jedi Master himself. Simultaneously I watched a live UStream feed from WDWRadio of the grand opening event. Lou Mongello then took us on the new Star Tours ride via "the box", Lou's laptop. Inside the box looking out, the ride was an amazing 4 minutes. I can't wait to experience it live..in person and out of "the box"! For your Star Wars fix throughout the weekend,there's lots more news and info coming out of DHS from our friends, Kristen & Aljon @WDWTikiRoom on Sorcerer Radio so stay tuned.